Consumers are starting to understand the benefits of whole grains and are moving away from products containing refined/processed grains. What makes whole grain better? Whole grains haven’t had their bran and germ removed, which makes them an excellent source of fiber. Refined grains, such as white flour and white rice, have the brand and germ removed. While vitamins and minerals are often added back in (this is usually where you see the word “enriched” or “fortified” on an ingredient label), they still don’t have as many nutrients or as much naturally occurring fiber as whole grains. It’s important to remember that whole wheat ≠ whole grain. Look for the words whole grain and stay away from enriched on ingredient labels. And, to be sure you are getting the maximum benefit, whole grain should appear at or near the top of the ingredient list. Whole grains are generally good sources of dietary fiber; most refined (processed) grains contain little fiber. Fiber-containing foods such as whole grains help provide a feeling of fullness with fewer calories and so may help with weight management. For some people there is the need or desire to stay away from gluten – which is found in wheat, barley and rye. But eliminating gluten should not keep you from enjoying the benefits of other whole grains as there are many to choose from that provide an excellent source of fiber, minerals and protein. One of these options is quinoa (pronounced keen-wa). 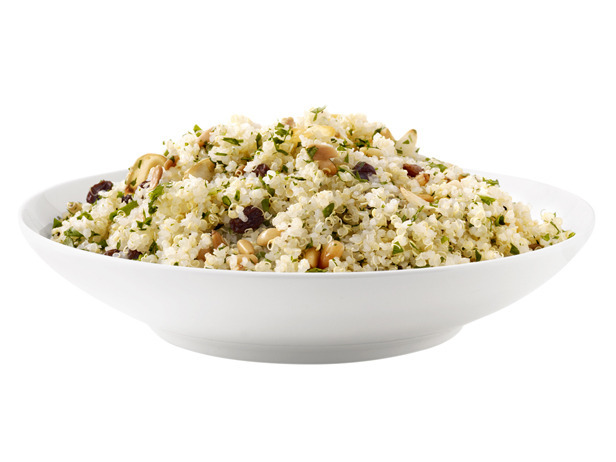 Quinoa originates from the Andean region of South American and has been around for 6,000 years. Quinoa, while technically not a grain (it’s a seed from a dark green leafy plant and is related to beets and spinach), is called a grain because of its texture. Because quinoa contains all of the essential amino acids it is considered a complete protein. Quinoa is very versatile and is prepared the same way as rice but cooks faster. Nutritionally, it is an excellent source of magnesium and fiber and a good source of iron and several B vitamins. 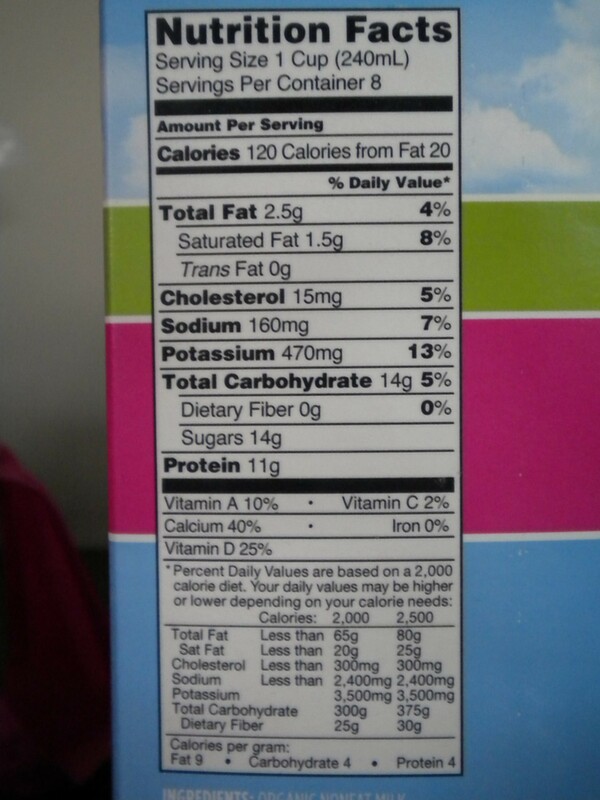 You can see a complete nutritional profile by checking out the Nutrition Data web site. As each whole grain has a different nutritional profile it’s a good idea to vary the types of grains you eat. And remember, when reading ingredient labels, be sure to look for these whole grains at the top of the ingredient list so you can get the most benefit from this essential part of a healthy diet. You can find complete nutritional information for the treats listed, above, as well as honorable mentions and low sugar options by visiting the Health & Cooking section at WebMD. Believe it or not, Men’s Health Magazine has created an “Eat This, Not That” guide for making healthier choices at the ice cream truck. Check out this video from The Early Show with Matt Bean, brand editor at Men’s Health, discussing healthier frozen treat options: Ice Cream Truck: Eat This, Not That. 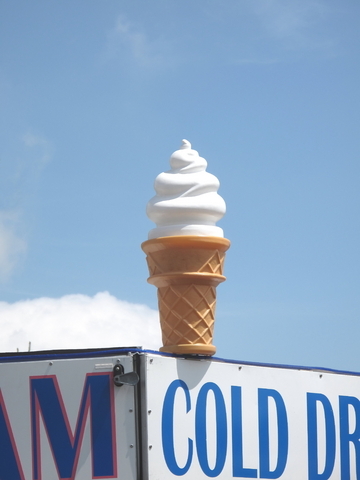 So raise a cone to summer and enjoy. Delayed Onset Muscle Soreness (DOMS) is that achy feeling you get in your muscles, usually accompanied by grunting and groaning, when you try to get out of your chair the day after a strenuous workout, or working in the yard all day, or helping a friend move. While many of us were taught that muscle soreness that appeared 24-48 hours after a workout was caused by lactic acid (which is now known to dissipate within 30 to 60 minutes of ending exercise), the real culprit is microscopic tears in muscle fibers. No wonder it hurts. Any movement you aren’t used to can results in DOMS. The pain is usually greater with increased duration or intensity of exercise. Eccentric muscle contractions seem to cause the most damage. In this case, eccentric refers to a lengthening muscle contraction, not your uncle who collects velvet Elvis paintings. Examples of eccentric muscle contractions include running downhill, lowering weights and the downward motion of squats or push ups. While muscle soreness is actually a sign that you are using your muscles in a way that will make them stronger (assuming the soreness is minor and not the result of an injury or overuse), people new to working out may think that something is wrong. Rest assured, it’s perfectly normal and happens to everyone, from exercise newbies to elite athletes. It’s the body’s way of letting you know that your workout is working. 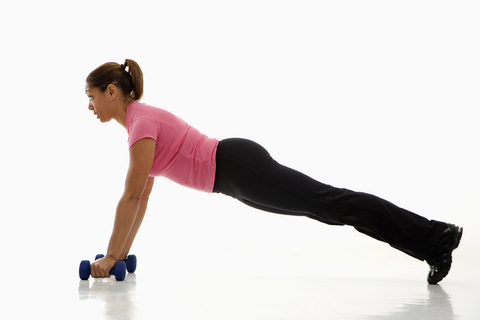 It’s important to note that minor muscle pain is not a requirement for a good workout. Working out without experiencing DOMS can be just as effective. The old adage “no pain, no gain” doesn’t always apply. And remember to listen to your body. There will be days when you simply may be too tired and/or too sore to workout. Give yourself a well-deserved break but don’t give yourself excuses. You might want to try cross-training and alternating upper body and lower body workouts so you don’t have to worry about overworking the same muscle groups day after day. Goat Milk? Are You “Kidding” Me? Get it? Goat milk – kid-ding? Sorry, I couldn’t resist the pun. Anyway, the subject of goat’s milk as a substitute for cow’s milk has been getting some press lately in both consumer and trade publications so I thought I would do some investigation and see what all the hype was about. As it’s important to compare nutritional information, I went to our local Whole Foods and bought a quart of Meyenberg low-fat goat’s milk and a half-gallon of Whole Foods’ 365 brand low-fat cow’s milk. Both are free from antibiotics and recombinant bovine growth hormone (rBGH), a synthetic (man-made) hormone that is marketed to dairy farmers to increase milk production in cows. According to the Meyenberg web site, their low-fat goat’s milk is higher in calcium, Vitamins A and B, and potassium than cow’s milk. However, if you review their nutritional label and compare it to the 365 cow’s milk, those claims do not stand up. This particular brand of goat’s milk, when compared to this particular brand of cow’s milk, has the same amount of Vitamin A but less calcium and contains no Vitamin B or potassium. I’m not sure why Meyenberg is making these particular claims, but it is a good lesson that you should take the time to read the nutritional facts panel and not just the claims that appear on the package or a web site. According to supergoat.org, a consumer web site created by goat milk producers, goat’s milk has 15% more calcium and more Vitamin A and D, potassium, copper and manganese than cow’s milk. Perhaps this is true with other brands of goat’s milk, but this one has no copper or manganese and has less calcium than cow’s milk. 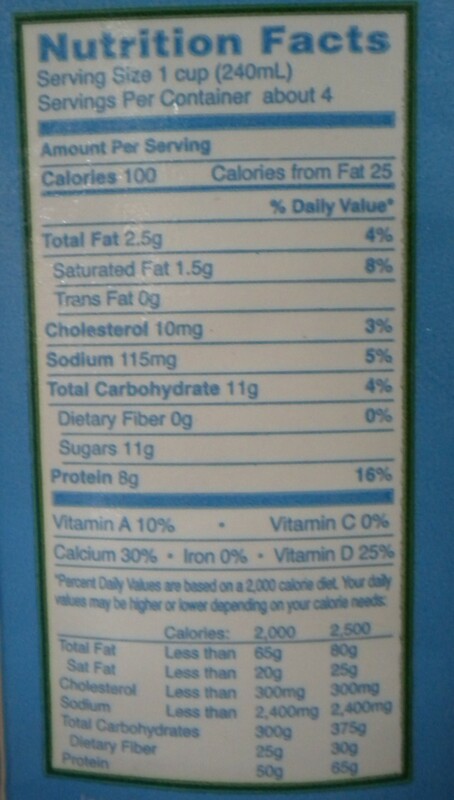 I checked the goat’s milk against another brand (AltaDena) of low-fat cow’s milk and found similar results. The nutritional claims just don’t add up. Please know that I am not trying to bash the goat milk industry. Goat’s milk may have some benefits over cow’s milk, especially for some people who are lactose intolerant as goat’s milk has been found to be easier to digest. From an environmental perspective goats have a much smaller carbon “hoof” print as they don’t require as much energy, food or land as cows and produce far fewer greenhouse gases. Goats are also humanely treated as they are raised on family farms instead of factory farms. Plus, goats provide a valuable service—brush control. 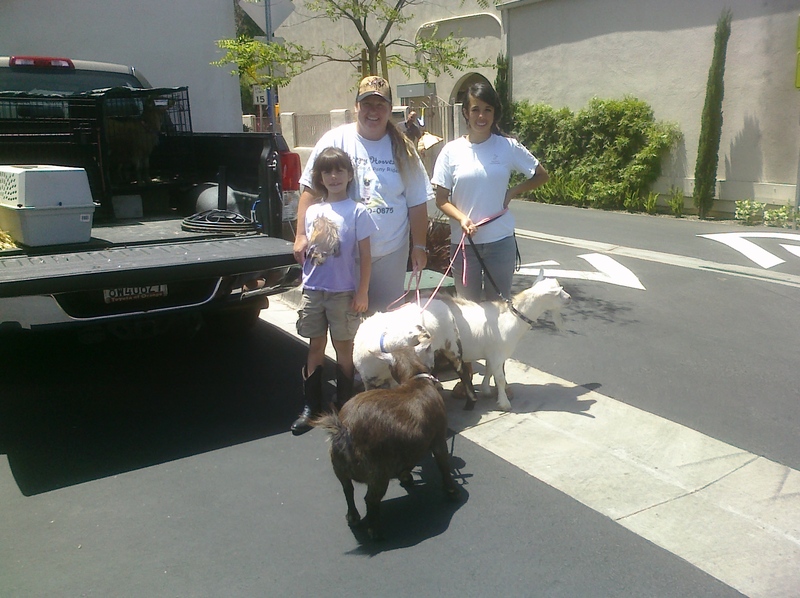 Here in Laguna Beach, as well as other parts of Southern California that are prone to brush fires, goats are used to eradicate brush from hillsides. In Laguna they are a sort of mini tourist attraction when they are feeding on the hills closest to town. It is fun to look up on the hill and see a herd of goats doing their “job”. So what does goat milk taste like? Well, it tastes a lot like cow’s milk. A little different, but not bad. On cereal I could hardly taste the difference. Some of the KeepWell team said it tasted a bit like goat cheese, which makes sense. I also tried Redwood Hill Farm’s goat milk yogurt. The consistency was a little thinner than I was used to, but it was still tasty. While I am disappointed with some of the results of my “investigation”, I’m happy to have tried, and learned, something new. We often talk about the importance of proper nutrition and fitness as part of a healthy lifestyle. But there is another, equally important element—sleep. Getting enough quality sleep is vital to staying healthy. Most adults need an average of 7.5 hours per night. Getting too little and/or poor quality sleep can lead to weight gain because a lack of sleep can cause your metabolism to work against you. According to Michael Breus, PhD, author of Beauty Sleep and the clinical director of the sleep division for Arrowhead Health in Glendale, Ariz., it has to do with two nighttime hormones: gherlin and leptin. 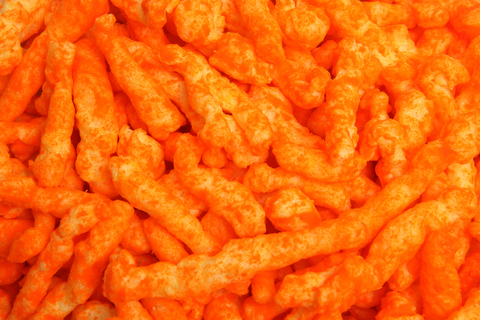 Gherlin is the hormone that tells you when to eat, and if you are sleep deprived you have more gherlin in your system. Leptin is the hormone that tells you when to stop eating, and you have less leptin when you are sleep deprived. So, you end up eating more and slowing down your metabolism. That’ a recipe for weight gain. The news may be worse for middle age women. In a recently published study in the International Journal of Obesity, Finnish researchers followed 7,300 40-60 year old adults for 7 years. They found that women who reported significant sleep problems put on more weight than the women who slept well. 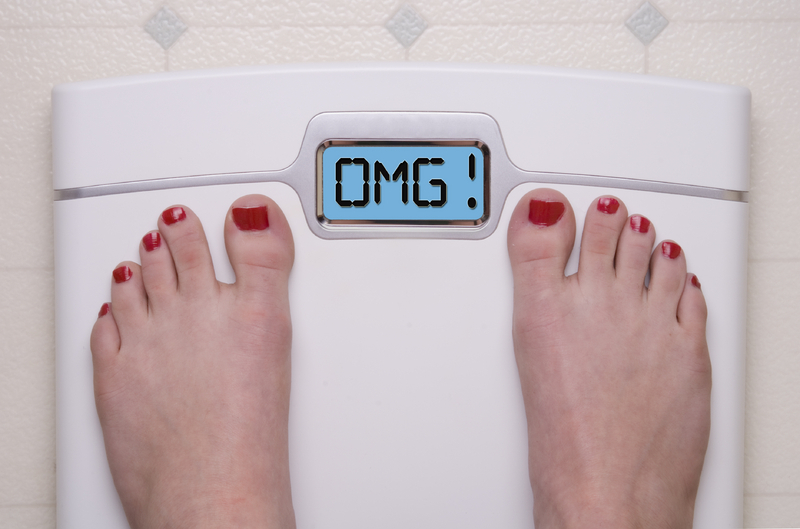 One third of the women with sleep problems gained an average of 11 pounds. Interestingly, men did not have the same results. This may be due to the study methodology which involved studying only 1,300 men versus 5,700 women. However, there was another large-scale (35,000+ participants of which 31,000 were men) study conducted in Japan which concluded that short sleep duration was associated with weight gain and the development of obesity over 1 year in men, but not in women. It appears this is an equal-opportunity problem. Surprise – the number one culprit is not caffeine. Grandner’s most recent research, published in February’s Sleep Medicine, tracked the diets and sleep habits of 459 women enrolled in the federal government’s Women’s Health Initiative. He tracked several nutrients and found, in summary, “The more fat you ate, the less you slept”. This one is probably obvious. Switch to decaf in the afternoon. While alcohol may help you fall asleep, it disrupts REM sleep, which is an essential component of quality sleep. And as for the old stand-bys of milk, tea and turkey, these seem to work due to the placebo effect. There isn’t enough credible scientific evidence to prove any of these are truly effective at helping people fall or stay asleep. Lesson learned – don’t overlook the importance of getting a good night’s rest. It is vital to your overall health. I leave you with this quote from English playwright, Thomas Dekker, Sleep is the golden chain that ties health and our bodies together. Well said. Please join KeepWell at the lululemon athletica store in Newport Beach, Calif. (Fashion Island) this Saturday, August 7 at 9:00 a.m. for Salutation Nation – a free one-hour, outdoor vinyasa yoga class. People with all levels of yoga experience are welcome to attend. Even if you don’t know your child pose from your cobra pose, you are sure to enjoy this outdoor event set in a beautiful courtyard. Don’t forget to stop by the store afterward to check out lululemon’s clothes and accessories (for men and women), and grab a KeepWell. If you’re not able to make it to Newport Beach, no worries as this is a nationwide event. Visit lululemon’s Facebook page for the Salutation Nation location in your area. 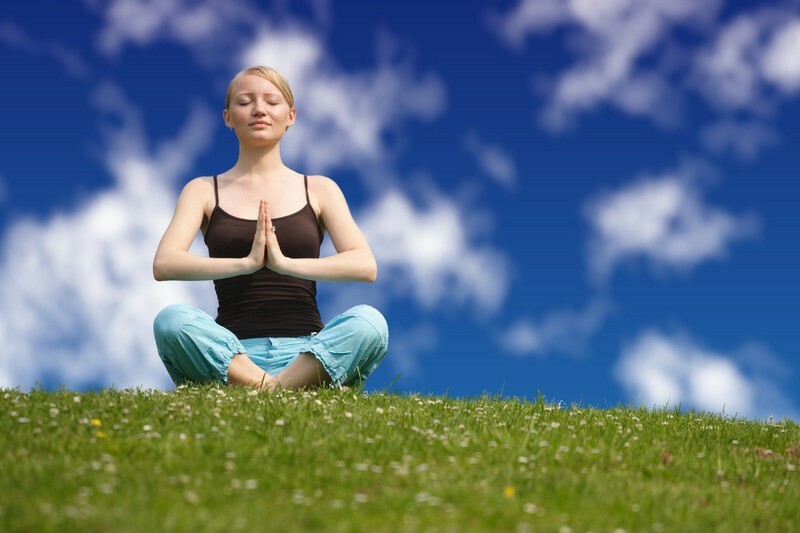 So grab your mat, take a deep breath and start your weekend on a positive note. Yesterday I was able to visit a second farmers market in the Orange County area, and this time I came back with several “prepared” foods as well as fresh-baked whole grain bread and a bouquet of fresh flowers. One company that had some really delicious offerings was Baba Foods (headquartered in San Diego, Calif.). Baba Foods sells a large variety of hummus, tapenade, assorted “dips” and fresh pita bread. You can sample everything. Everyone in the KeepWell office recommends the Triple Layer Appetizer which consists of feta cheese, sun dried tomatoes, pesto, parsley, basil, oregano and extra virgin olive oil (EVOO). The roasted garlic and artichoke hummus is also a hit. Besides the great taste, I appreciate the short, all natural list of ingredients. Another product with a very short, easy-to-understand list of ingredients is tamales from Gourmet Tamales, located in Oceanside, Calif. Gourmet Tamales offers more than 20 different types of fillings, from chicken and pork to vegetarian and even dessert tamales (how did I not know about these?). The chicken with red mole sauce is excellent as is the spinach, feta and tomatillo vegetarian tamale. My husband, who leans toward being a meatatarian, even enjoyed the veggie version. I think because it wasn’t soy trying to taste like chicken. They are a little heavy on the masa, but the filling is delicious. I have yet to try the orange mango dessert tamale, but I’m looking forward to it. I enjoyed my conversation with the proprietor of the fresh-baked bread stand. She educated me about spelt, an ancient grain that is a sort of predecessor to our modern day wheat. 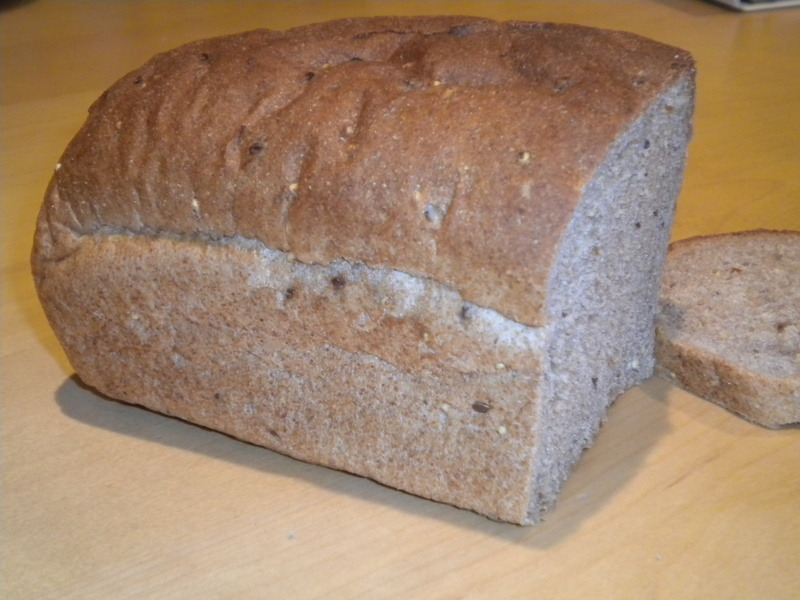 But I preferred the whole grain wheat so I took home a fresh-baked loaf. The only downside is that the bread is unsliced (she told me the key is to cut the bread on its side, not the top). I am concerned that my kids will end up slicing off 2-inch thick pieces of bread and we’ll only get 3 sandwiches out of the loaf. She also told me how to store it so it will stay fresh as long as possible. I encourage you to visit a farmers market in your area. Just make sure you allow yourself plenty of time to check out all the vendors, sample products and talk to the sellers to find out how foods are grown and/or prepared. As one mother explained to her two young children while they sampled a piece of fruit, “You know how we buy fruit at the grocery store? Well, this is where the grocery store gets their fruit.” Yes, and it’s fresh and delicious. 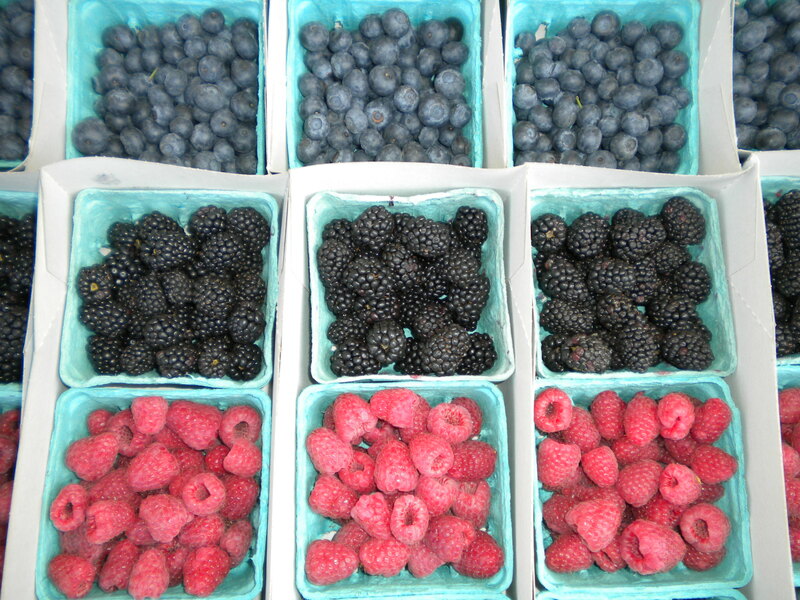 The United States Department of Agriculture (USDA) has declared August 1-7, 2010 National Farmers Market Week. If you haven’t been to a farmers market, or, like me, its been a while since you’ve been, it’s a great time to check one out. You can find farmers markets in your area by visiting the USDA’s Farmers Market Search site at: http://apps.ams.usda.gov/FarmersMarkets/. Unfortunately, this site does not work for me. 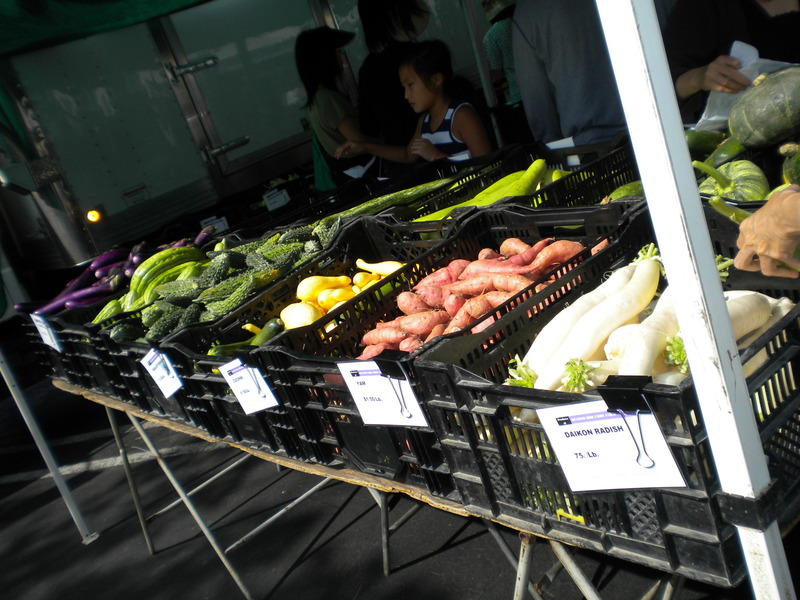 It yields no results in an area with plenty of well established farmers markets. Maybe it works better in other areas of the country. However, a national site that does work is Local Harvest at http://www.localharvest.org/farmers-markets/which lists many, but not all, of the markets in my area. I did a Google search and came across a local resource in the Orange County Farm Bureau (OCFB). They provide a list of certified markets along with facts about products and recipes. There is a farmers market in our area, but until yesterday, I had not visited for more than 5 years. What a fool I’ve been! Especially since I routinely complain about the quality of berries at our local grocery store (I think the produce buyer needs to have his/her taste buds examined). I was so pleased to see over 30 tents with everything from fresh, ripe fruits and vegetables to fresh seafood, nuts and even tamales (more on that later in this post). 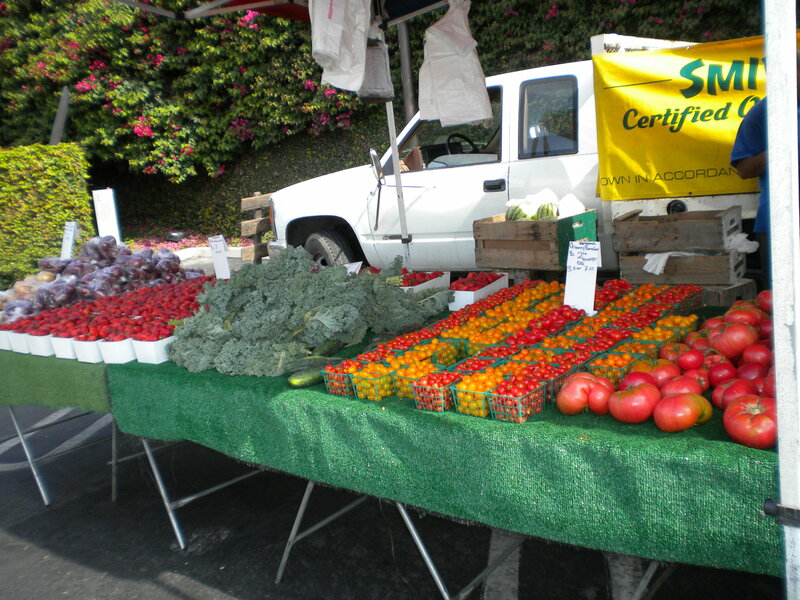 Many vendors are certified organic. Others are pesticide and fungicide free, but not certified organic. There are so many benefits to buying produce at a farmers market. Besides the fact that you are supporting local farmers, you get to sample just about everything to ensure you are getting the most flavorful items. You also get expert advice on how to pick the best fruits and veggies: some by color, others by touch, smell our sound (melons). 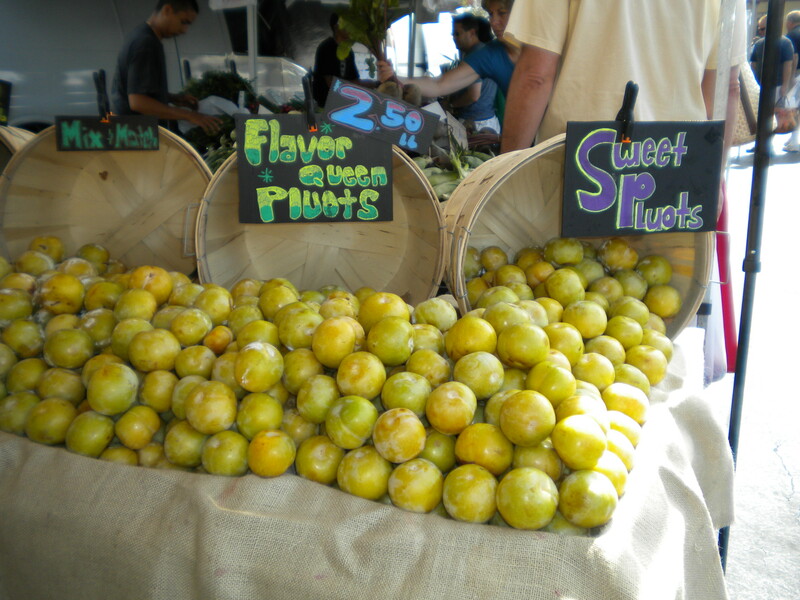 I’ve been wanting to try pluots (a plum/apricot hybrid) and there were many varieties to choose from. I asked one of the vendors which one he recommended and he suggested the Flavor Queen. I was not disappointed. They are delicious – more plum-like than apricot, but still a wonderful piece of fruit. I also purchased softball-sized yellow peaches, a variety of berries, and pistachio nuts. There is another farmers market a little bit further away that is open on Tuesdays and is supposed to be the best market in the area. When I visit tomorrow I plan to purchase tamales from a couple of vendors and have a little taste test. As many of you who live in Southern California know, homemade tamales are the best. Some vendors accept credit cards, but many only accept cash. And sometimes you can haggle to get a better deal, especially if you buy in larger quantities. So if you get the chance, stop by your local farmers market. You won’t be disappointed. Stay tuned for the tamale update later in the week. All of us at KeepWell Foods are honored and extremely excited to be invited to the lululemon athletica store in Newport Beach, Calif. on Saturday, August 7 for Salutation Nation. This is a nationwide event and its free. You can get more information by visiting Salutation Nation. In case you are not familiar with lululemon, they make beautiful, functional clothing for women and men for yoga, running, dancing and many other physical activities. Salutation Nation is a nationwide outdoor yoga event being held on August 7th at 9 a.m. initiated by lululemon athletica. It’s an hour-long vinyasa class to recognize that we are part of a community (not “we” as in lululemon, but “we” as in humans). It’s about our friends, teachers, neighbors and their friends, teachers and neighbors joining as one to practice yoga together! Ambassador Erika Burkhalter will be leading the practice in the courtyard outside of our store. All levels and athletic abilities are welcome to join! See you there! *Please bring your own yoga mat for the practice! KeepWell will be featured in the store and we’ll be handing out free samples and talking to guests about the benefits of our drink. If you are in the area we hope you will stop by and say “hi”. We’d love to meet you. I was looking around the lululemon web site and after buying a pair of shorts that I needed (yes, I need them, no matter what my husband says) I came across photos of a type of yoga I had never heard of. 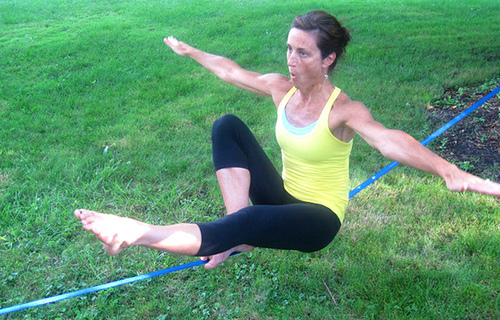 It is called slackline or slackasana yoga. Slackline yoga requires a person to balance on a 1-inch piece of webbing (similar to what rock climbers use) lightly tensioned between two solid anchor points, and perform yoga poses on it. The sense of balance is truly amazing – like Cirque du Soleil amazing. I can barely do a downward facing dog, let alone balance myself on a rope and attempt to do a yoga pose. You can see more lululemon slackline photos on flickr and a remarkable video demonstration from Yoga Slackers on You Tube. Hope you have a great weekend. Namaste.